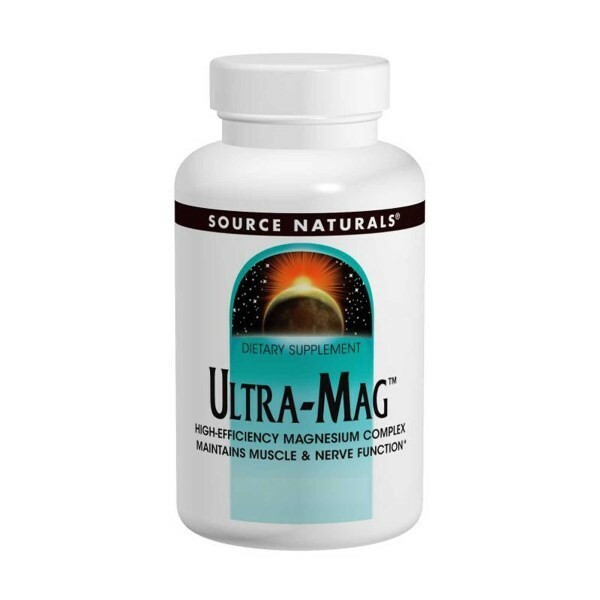 Ultra-Mag is made with a balanced blend of sources shown to have high bioavailability and absorption. * Percent DailyValues (%DV) are based on a 2,000 calorie diet. Stearic acid, acacia gum, modified cellulose gum, magnesium stearate, and silica. Suitable for vegetarians. Contains no yeast, dairy, egg, gluten, soy or wheat. 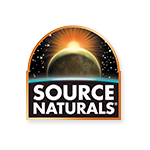 Contains no sugar, preservatives or artificial color, flavor or fragrance. 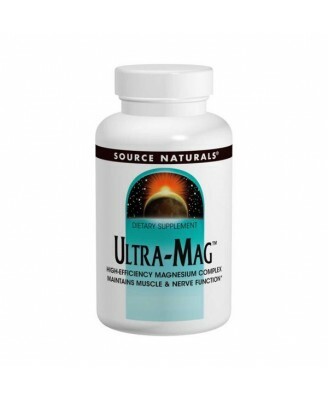 Ultra-Mag is made with a balanced blend of sources shown to have high bioavailability and absorption. Magnesium is an essential mineral, necessary for producing and storing energy (ATP), allowing muscles to relax, activating over 300 key metabolic enzymes, controlling calcium levels in bones and teeth, and regulating electrical activity in nerve cells. If you are pregnant, May become pregnant, or breast feeding, consult your health care professional before using this product. Keep out of the reach of children.